Tiered cupcake tower with personalised cupcakes matching any theme/colour combination. Check out our cupcake tower gallery for inspiration. 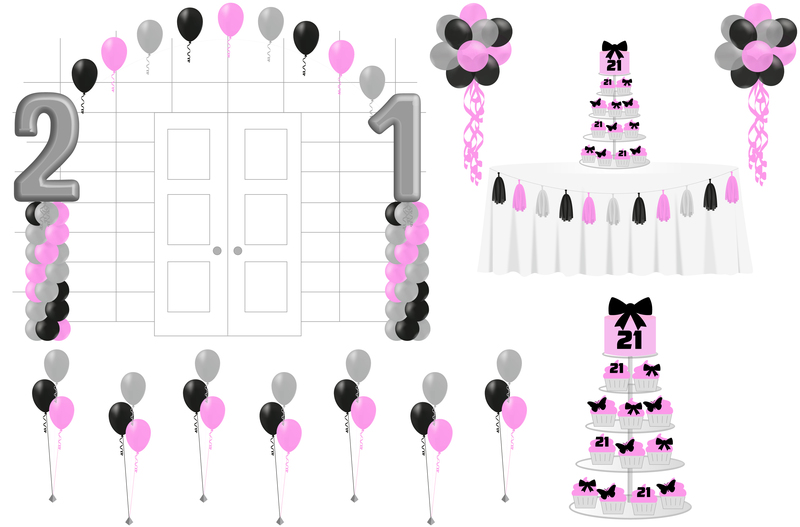 X2 Balloon clouds/pom poms topiary for either side of cake table. X2 Large 50th birthday balloon columns with connecting arch, ideal for entraceway/dance floor etc. 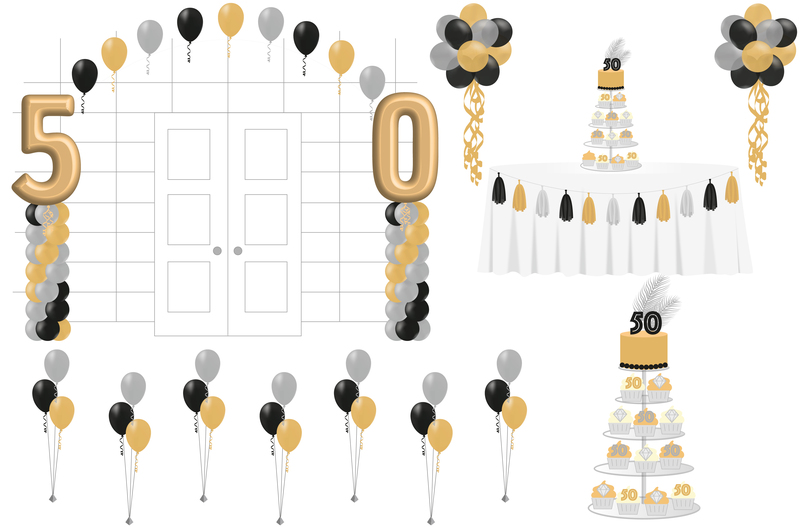 For more 50th birthday balloon ideas see balloon chart for more info. For additional cupcake favours check out our cupcake gallery to see our artwork. Cupcake tower filled with customised cupcakes matching any colour scheme/theme. Check out our cupcake tower gallery for examples. X2 Balloon topiary pompoms/clouds for either side of the cake table. X7 Table top balloon bouquets in your chosen colours. 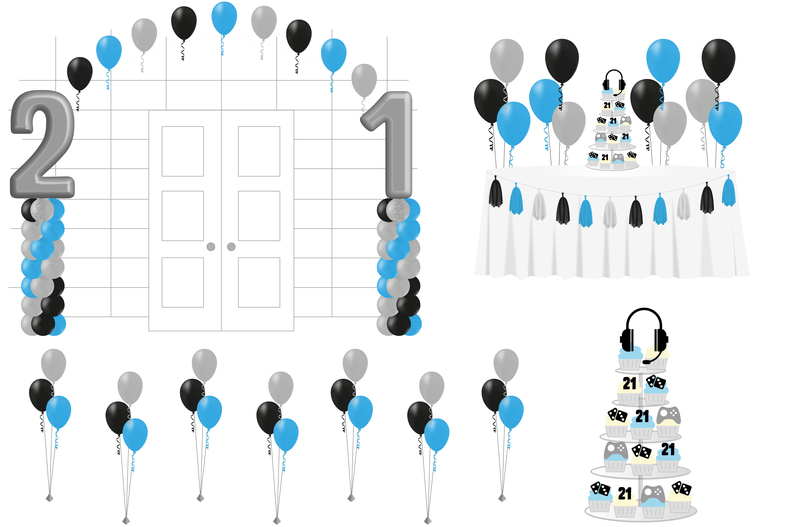 X2 Jumbo foil balloon numbers on columns with connecting arch, great for dancefloors or entrance ways etc. Cake table dressed with tablecloth, hand made tassel garland and table runner. 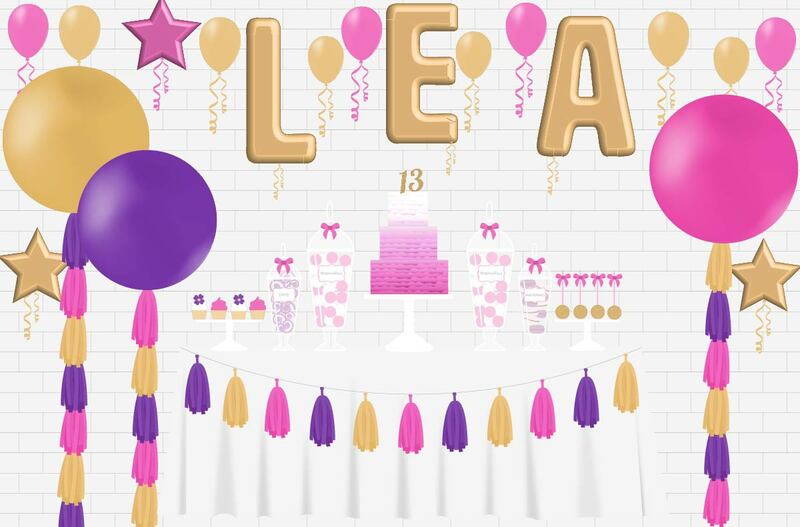 For additional balloons see our balloon chart for price list & more information. Why not turn your cake table into a show stopping candy buffet. With decorative jars & platters of personalised sweets & treats beautifully displayed. See our candy buffet gallery for examples.